1. The Gift of Companionship. The holiday season often feels like a stressful whirlwind of activities. Stores and roads are overcrowded and everyone seems to be moving faster than normal leaving a senior feeling left behind in the hustle and bustle of activities. Giving the gift of companionship can be as simple as slowing down to spend time with your senior loved one. Put your to-do list aside and share stories of past holiday seasons and Christmas traditions. 2. The Gift of Understanding. Everyone is happy at Christmas time, right? Wrong. But, often people feel pressure to be happy even if they are not. For some seniors, the holiday season reminds them of the loss they have experienced, they don’t feel happy, but don’t have any room to express those emotions. The gift of understanding can normalize the sadness your senior loved one may be feeling. Listen as they talk about the spouse they miss or the frustration they feel over not being able to drive. Don’t be afraid to ask questions and express interest in their emotions. 3. The Gift of Traditions. Traditions are passed from generation to generation, but as families come together new traditions are formed and some cherished traditions are forgotten. Ask your senior loved one what some of their favorite Christmas traditions were as a child or young adult and attempt to incorporate these cherished traditions into your Christmas schedule. 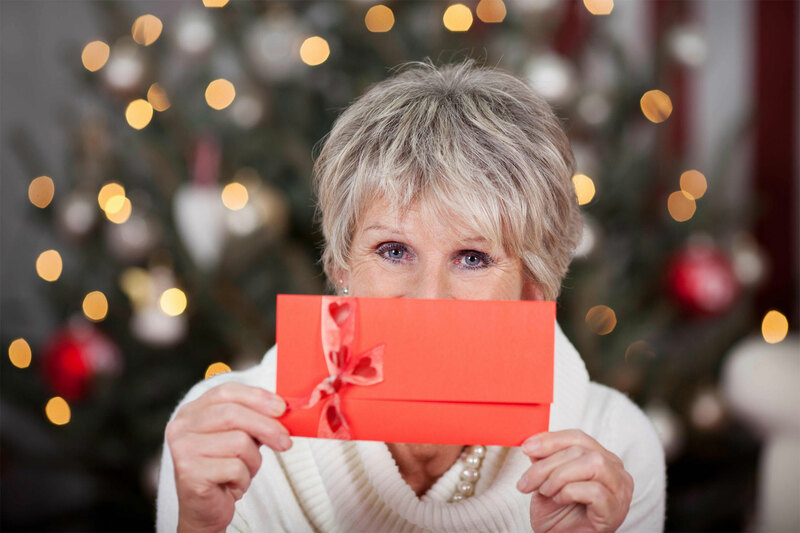 The gift of traditions communicates that you have not forgotten your senior loved one and you will work to make sure they feel a part of the holiday season. This holiday season, give the gifts that matter. Merry Christmas!